The ability to represent public agencies and private sector clients in matters ranging from water rights to employment law reflects the broad capabilities of Ali Stevens. Ali’s practice focuses on natural resources, water law, water rights and compliance with associated state and federal laws. 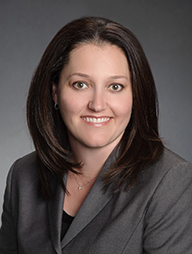 She currently serves as outside general counsel to many of the firm’s special district clients providing advice and counsel on the Ralph M. Brown Act, the Public Records Act, the Government Code, Proposition 218 issues, and the Elections Code. Ali also counsels the firm’s clients on various federal and state employment laws including the California Family Rights Act, the Family and Medical Leave Act, the Americans with Disabilities Act, and the Fair Employment and Housing Act. She assists clients with review and development of employee handbooks, as well as policies related to harassment, discrimination, and family/medical leave as well as other statutory leave laws. She is a graduate of the University of Southern California and Santa Clara University School of Law. Ali is a member of the State Bar of California and is admitted to practice in the State of California and before the United States Court of Federal Claims, the Ninth Circuit Court of Appeals, and the Eastern District of California. Outside of work, one of her passions is traveling. Ali spent time studying in Europe and lived in Hong Kong for a summer working for a barrister’s office, but she is still waiting for her first chance to visit two continents: Africa and South America. Speaker, ACWA Spring Conference 2017 – A Case Study in State Mandates and Local Agency Rate Setting – When Is Fee Authority “Sufficient”?